The risk of being diagnosed with breast cancer, colon cancer and about a dozen others can be reduced by staying physically active, according to a recent study. The findings are backed by the World Cancer Research Fund, which estimates that about 20 percent of all cancers diagnosed in the U.S. are related to body fatness, physical inactivity, excess alcohol consumption and poor nutrition. 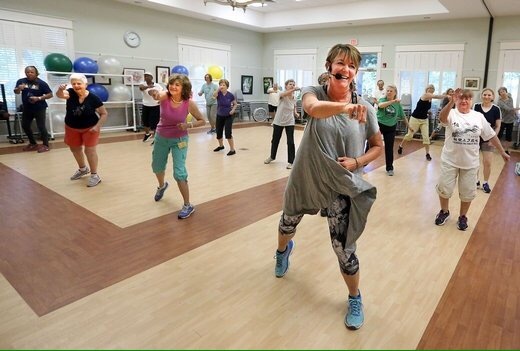 “We know that weight and body mass index has been linked to cancer, so it makes sense that taking care of your body can be a benefit,” said Aleshia Parrish, a manager and aerobics instructor at the Lowcountry Senior Center. 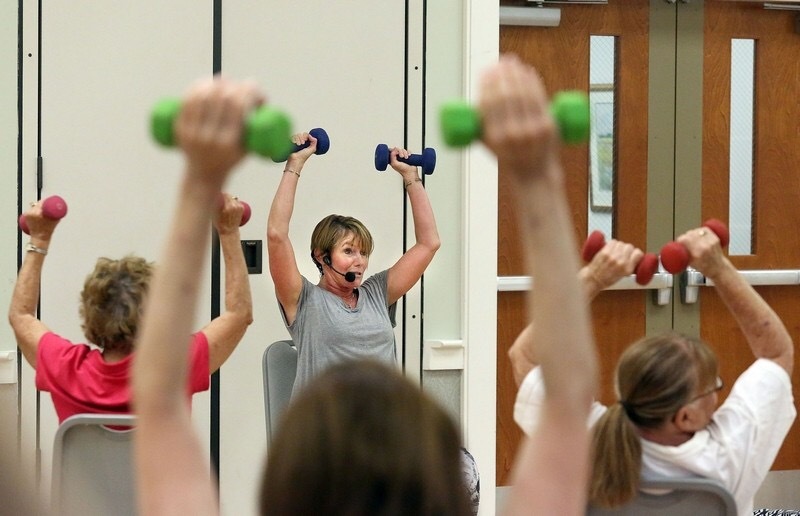 Parrish said it’s important for people of all ages to stay active because some conditions, such as cancer and other ailments, can appear at any time. 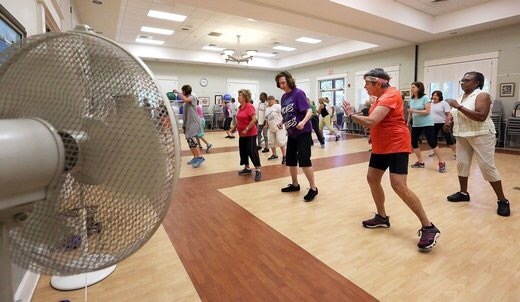 Parrish’s class on Wednesday morning had more than two dozen participants, including Lillie Padgette, a 94-year-old local resident who said she’s been working out consistently for about a decade. Another participant, Cheryl Townsend, has been taking organized exercise classes for nearly 25 years and says she also isn’t surprised about the findings in the study. “Exercise lowers blood pressure, takes away a lot of stress and does so many other great things. So I have no doubt that it helps reduce cancer, too,” she said. Researchers at the National Cancer Institute reported their findings in May after spending 11 years working with other researchers in the United States and abroad. The group collected data on 1.4 million participants, ages 19 to 98, and examined a broad range of cancers, including rare malignancies. Participants routinely reported their physical activities and body mass index. They also were tracked through cancer registries to determine if they were diagnosed during the study’s time frame. 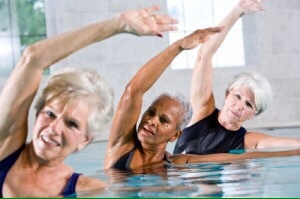 Researchers found that leisure-time physical activity, such as walking or aerobics, is associated with a lower risk of colon, breast and endometrial cancers. The greatest risk reductions were found in gastric cardia, kidney cancer and myeloid leukemia. The risk of being diagnosed with head and neck cancers, myeloma, bladder cancer, lung cancer and rectal cancer can also be reduced through exercise, the researchers determined. 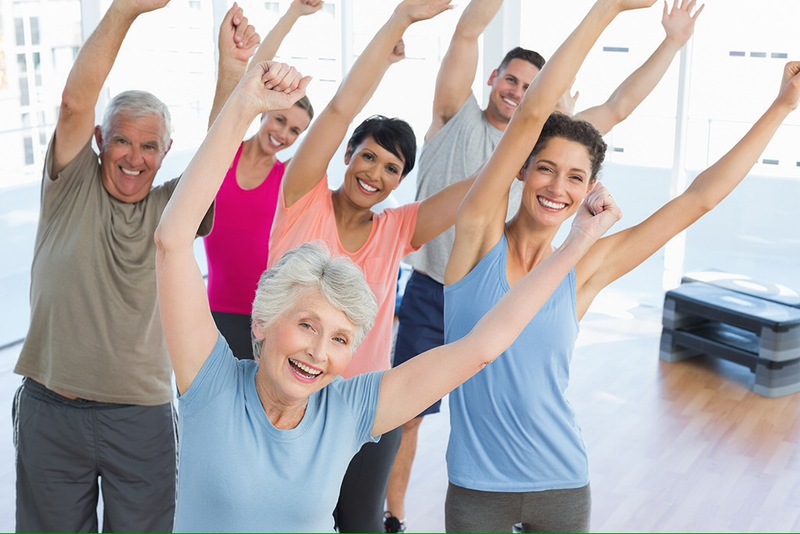 Specifically for colon cancer, the National Cancer Institute states on its website that studies consistently have found that adults who increase their physical activity, either in intensity, duration or frequency, can reduce their risk by 30 to 40 percent. “The key message is that the results suggest that physical activity has a role in population-wide cancer prevention,” said Steven Moore, one of the researchers involved in the study.